3 Bedroom Terraced House For Sale in Sheffield for Guide Price £185,000. A very unique three double bedroom period terrace house. Steeped in history and offering extensive living accommodation over two floors. This very individual property has a forecourt garden with pathway to the front entrance door. Private drive area leads to the fantastic garage with twin doors. Through access from the garage to a workshop area and garden access. Beautiful privately enclosed level lawn rear gardens which must be seen to be fully appreciated. 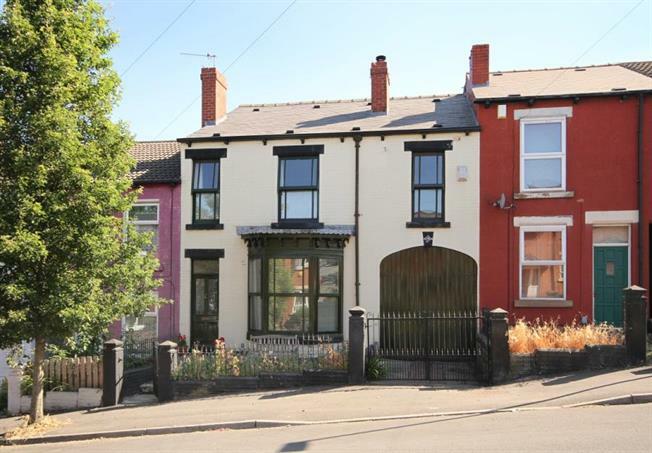 The property is served by a comprehensive range of excellent local amenities with convenient access to Sheffield City Centre, universities and hospitals making the area very popular with professionals and young families alike. Only from a detailed inspection can the enormous charm, character and full extent of the property be fully appreciated.